The 21st of March, which is the first day of spring, will mark a new year for Iranians. Nowruz, or the Persian New Year, is a time of celebration, when Iranians go out to buy new shoes and clothes. 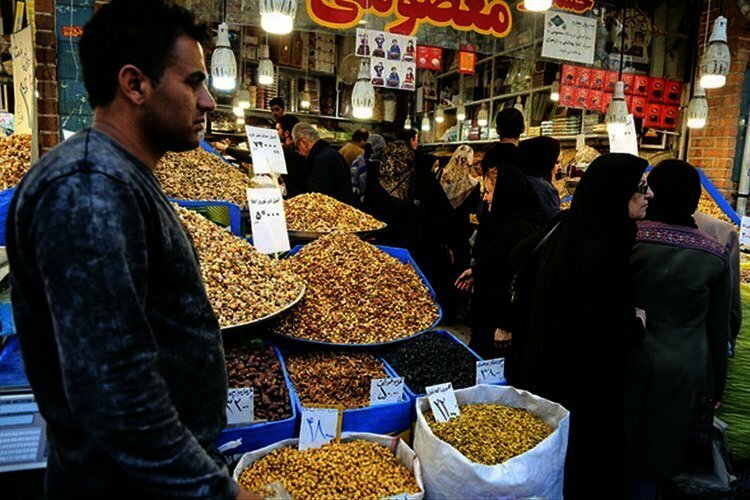 They also buy everything from nuts to sweets and fruits for their Haft-sin tables and guests. They do some serious spring cleaning and prepare their homes for visiting family members. As is customary in Nowruz, older family members give presents, usually in cash, to youngsters. 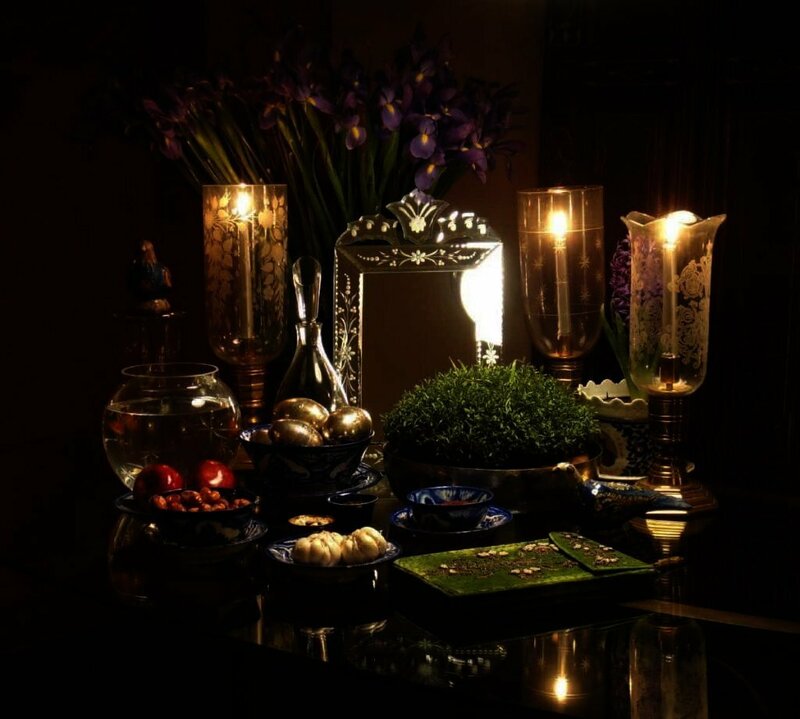 A traditional Nowruz Haft Sin table. However, this Nowruz is very different from previous ones. Poverty, unemployment and severe economic hardships have gripped the more than 80 million population leaving around 80% under the line of poverty. According to numerous state-run media websites, the current economic conditions are reminiscent of the Iran-Iraq war during the 80’s. In Nowruz 2018, the price of the dollar was 3,500 tomans, exported tea was between 30,000 to 40,000 tomans per kilo. The price of red meat was 40,000 tomans per kilo while sugar was just 2,800 tomans per kilo. A week before Nowruz 2019, the dollar has increased to 13,000 tomans, red meat to more than 120,000 tomans, while tea has increased to 140,000 to 160,000 tomans. Sugar has soared to 8,000 to 10,000 tomans per kilo with Iranians waiting in long lines to receive subsidized sugar. Rent prices have more than doubled since the beginning of the last Persian year. The price of all goods except bread and gas have more than double or tripled but wages have stayed the same. Despite the 200 to 300% price increase on goods, wages are only to be increased by 10 to 20% next year. Haft-Sin essentials including goldfish on display in Iranian bazaar. Many people have lost their jobs while Iran’s economy literally crumbles. Iranian breadwinners are forced to work three jobs to make ends meet. Extended work hours and refraining from recreational activities including going to restaurants and vacation are just some of the measures Iranians are taking to save for Nowruz expenses. This is while Eshaq Jahangiri, the regime’s First Vice President, said recently that they the state had overcome economic pressures. “The Americans put heavy pressure on our economy this year to create an economic collapse… but we were able to put the pressures behind us with planning and effort and the people’s perseverance,” Jahangiri said. Officials of the Islamic Republic consider the fact that workers and impoverished Iranians were able to survive this year as an astonishing and miraculous success on their part. However, Iranians blame only the regime for their economic woes which is evident from protests going on every day in Iran. The state-run ISNA news agency recently reported that the regime had signed an agreement with the Syrian government to build 200,000 homes in Damascus. This among other news from Iran’s financial aid to neighboring countries with the intent of building a base for its terrorist activities, angers many Iranians. 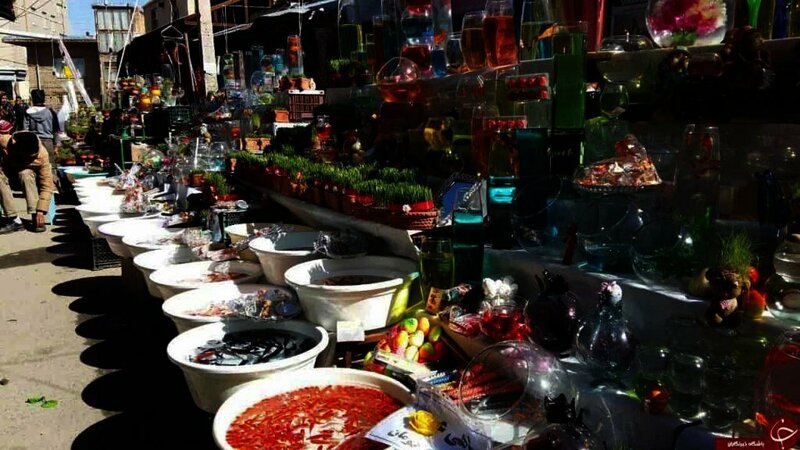 In an article titled, “This year’s bazaar does not smell like Nowruz”, the ILNA state-run News Agency underlined Iranian’s declining purchasing ability. “Neither vendors are happy with the market situation nor customers have a tendency to buy anything. It seems that this year, we start the year unlike any other year with high prices. There is little commotion in the bazaar… Even fruit prices have increased,” ILNA wrote. Iranians will start the new Persian year in a quagmire of economic and social woes, the result of 40 years of the Islamic Republic’s rule which has been marred with systematic corruption and mismanagement.